A 27 year old male involved in the altercation was treated by EMS for injuries and transported to the hospital where he was declared deceased. 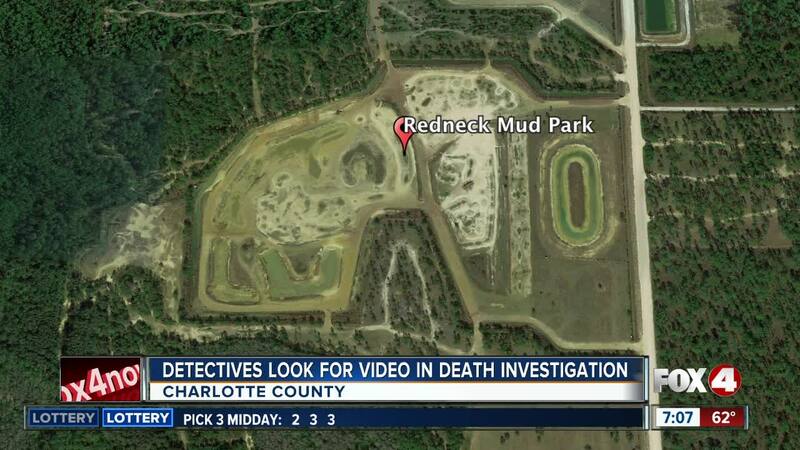 CHARLOTTE COUNTY, Fla. -- Investigators need your help finding crucial video in a Charlotte County death investigation at a Charlotte County mud park. According to deputies, a fight broke out around 11 p.m. Saturday near the main stage at Redneck Mud Park off Bermont Road in rural Charlotte County. A 27 year old man was taken to the hospital, where he was later pronounced dead. Detectives say they've tracked down some video of the altercation between several guests and members of the security staff, but know there's more out there and need to see it. Anyone who has video of the incident is asked to contact the Charlotte County Sheriff's Office Major Crimes Unit directly at 941-575-5361 or email majorcrimes@ccso.org. This investigation is still active and ongoing. The cause of death is still undetermined and is pending the medical examiner’s review.